In the literature, there is a vibrant debate about Timor-Leste’s system of government. While most scholars agree that the country has adopted the premier-presidential subtype of semi-presidentialism, others disagree. This post engages in the debate about Timor-Leste’s regime type and maintains it has a premier-presidential constitution. While most scholars share the view that Timor-Leste is semi-presidential Damien Kingsbury argues that the country has adopted a parliamentary regime. He uses Duverger’s definition of semi-presidentialism in support of his argument. Duverger considers a political regime as semi-presidential if the constitution which established it combines three elements: (1) the president of the republic is elected by universal suffrage; (2) he possesses quite considerable powers; (3) he has opposite him, however, a prime minister and ministers who possess executive and governmental power and can stay in office only if the parliament does not show its opposition to them (Duverger, 1980). Kingsbury asserts that Timor-Leste’s constitution does not conform to the second criterion: that of possessing quite considerable powers, which is, according to him, the most critical defining element of a semi-presidential system. The powers of the president of Timor-Leste are similar to those enjoyed by ceremonial presidents, he argues. Moreover, the fact that the president has veto power does not imply that the system is semi-presidential. To Kingsbury, veto power is ‘largely a ceremonial function in which the head of state rubber stamps legislation passed by the government of the day’ (2013: 73). Unlike Duverger, who defined semi-presidentialism based on the content of the constitution, Kingsbury bases his argument – namely that Timor-Leste is parliamentary – on the fact that with respect to his lawmaking authority, the president in practice acts like a rubber stamp. The fact that a president does not use his legislative powers does not imply that a regime is parliamentary. Moreover, and contrary to what Kingsbury claims, presidents of Timor-Leste have frequently vetoed legislation. Moreover, according to Shugart veto power can be regarded as ‘quite considerable’ in Duverger’s sense (2005: 339). Kingsbury also argues that under the Timor-Leste constitution, the presidency is largely a ceremonial position with regard to other powers, such as the authority over the armed forces, which he calls ‘nominal’, and the fact that presidents can appoint governments only ‘within circumscribed constitutional rules’ (Kingsbury 2013: 75). Here Kingsbury does not recognise that the president has important powers in the area of defence and foreign affairs as well as over the formation of the cabinet. Firstly, in the area of defence, the constitution grants the head of state important appointment powers, such as the power to appoint the commander of Timor-Leste’s defence forces. Secondly, the president may conduct negotiations on behalf of Timor-Leste towards the completion of international agreements on security and defence issues, in agreement with the government. Thirdly, the constitution grants the president negative power over the composition of the government. Although the president does not have the power of initiative in the process of selecting government members, (s)he can always refuse to appoint them. It is then up to the prime minister to select another candidate who is more acceptable to the president. In sum, Timor-Leste adopted a semi-presidential system. The regime combines at once a popularly legitimated and more-than-ceremonial president with a cabinet that can be replaced if it loses the confidence of the parliament. According to Rui Feijó Timor-Leste adopted the president-parliamentary subtype of semi-presidentialism. 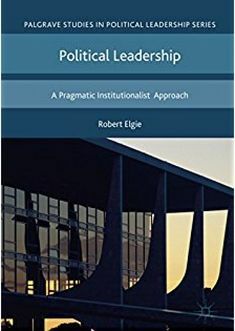 This scholar argues that although the system ‘behaves’ as premier-presidential, ‘institutionally’ the system is president-parliamentary (Feijó 2014: 276). Only in president-parliamentary systems the head of state possesses power to dismiss the prime minister. Feijó’s argument is that the constitution and in particular section 112(2) defines a president-parliamentary system. Section 112(2) stipulates that ‘The president of the republic shall only dismiss the prime minister (…) when it is deemed necessary to ensure the regular functioning of the democratic institutions, after consultation with the council of state’. To Feijó, this section provides that under ‘exceptional’ circumstances the president has the political power to dismiss the prime minister (2014: 272). Feijó correctly points out that the president is empowered to dismiss the prime minister under exceptional circumstances. However, section 92 of the Constitution provides that the National Parliament is the organ of sovereignty (…) and is vested with legislative supervisory and political decision making powers. So, the mere fact that the president cannot dismiss the prime minister under ‘normal circumstances’, that is, when the prime minister enjoys the confidence of the parliament makes that constitution premier-presidential. Therefore, I maintain that Timor-Leste adopted the premier-presidential subtype of semi-presidentialism. Damien Kingsbury, “The Constitution: Clarity without Convention,” in The politics of Timor-Leste: democratic consolidation after intervention, ed. Michael Leach and Damien Kingsbury (Ithaca, New York: Cornell University, Southeast Asia Program Publications, 2013). Maurice Duverger, “A New Political System Model: Semi-Presidential Government,” European Journal of Political Research 8, no. 2 (1980). Matthew Søberg Shugart, “Semi-Presidential Systems: Dual Executive and Mixed Authority Patterns,” French Politics, no. 3 (2005). Rui G. Feijó, “Semi-presidentialism, moderating power and inclusive governance. The experience of Timor-Leste in consolidating democracy,” Democratization 21, no. 2 (2014). Lydia M. Beuman, Political Institutions in East Timor: Semi-presidentialism and democratisation (London: Routledge, 2016). This entry was posted in Semi-presidentialism, Timor-Leste and tagged premier-presidential form on May 10, 2016 by Lydia Beuman. The Timorese President doesn’t have much of a veto power, only the power to refer a bill back to parliament, once, after which parliament can simply pass the bill again by a majority. This is common among semi-presidential systems. The difference between president-parliamentary and premier-presidential is whether the president can fire the prime minister and cabinet. Section 112 only provides for the prime minister and cabinet to be fired after an election or having lost the confidence of parliament.